MySQL tutorial provides basic and advanced concepts of MySQL. 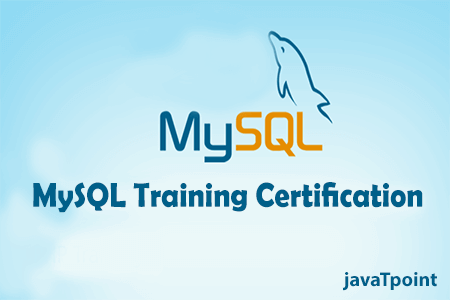 Our MySQL tutorial is designed for beginners and professionals. MySQL is a relational database management system. It is open-source and free. Our MySQL tutorial includes all topics of MySQL database such as insert record, update record, delete record, select record, create table, drop table etc. There are also given MySQL interview questions to help you better understand the MySQL database. MySQL is a fast, easy to use relational database. It is currently the most popular open-source database. It is very commonly used in conjunction with PHP scripts to create powerful and dynamic server-side applications. MySQL is used for many small and big businesses. It is developed, marketed and supported by MySQL AB, a Swedish company. It is written in C and C++. MySQL is an open-source database so you don't have to pay a single penny to use it. MySQL is a very powerful program so it can handle a large set of functionality of the most expensive and powerful database packages. MySQL is customizable because it is an open source database and the open-source GPL license facilitates programmers to modify the SQL software according to their own specific environment. MySQL is quicker than other databases so it can work well even with the large data set. MySQL supports many operating systems with many languages like PHP, PERL, C, C++, JAVA, etc. MySQL is very friendly with PHP, the most popular language for web development. Before learning MySQL, you must have the basic knowledge of computer fundamentals. Our MySQL tutorial is designed to help beginners and professionals. We assure that you will not find any problem in this MySQL tutorial. But if there is any mistake, please post the problem in contact form.